Jesus created each of us uniquely. Jesus is leading the greatest diversity movement in the history of the world, His Church. This is why Jesus’ prayer and desire for us as His Church is to live in unity and oneness. People need each other. Unite is a verb. When we unite, we can unite in the name of a cause or whatever our passion is. We see people unite for their cause, and sometimes the cause can become destructive by dividing a family, a church, a nation, and even the world. You can unite for things and you can unite against things. While unite is a verb and is something you do, unity is a noun. Unity is oneness. Jesus wants us to live in oneness and unity. America personifies division, not unity. In the last five years, we have seen America become very polarized and divided, spewing words that are vitriolic and destructive. Trust is minimized and division is celebrated. As I have said before, I say again: America is broken. Division is undeniable. Racial tension is alarming. Lawlessness abounds. Reconciliation appears impossible. Government cannot fix us. Politics will not heal us. The spirit of the age is ruling. America needs God now more than ever before. Where is the Church? The Church of Jesus in America is more divided than I have ever seen it. We are living in contradiction of Jesus’ desire in John 17. The churches of America are living in disunity. There are not hundreds of thousands of churches, but one Church, the Church of Jesus Christ our Lord. In the past, churches have chosen to unite, recognizing and appreciating important theological variances that are more secondary in nature. But now, churches divide over everything from extreme theological views to things like politics, economics, morality, and social justice issues. This is not being the Church of Jesus Christ. Whatever happened to uniting in our belief in the authority of Holy Scripture, Jesus being the only way to salvation, and that the greatest need in the world is the advancement of the gospel of Jesus Christ? Not only are churches living in disunity with one another, but we also see disunity within thousands of individual local churches. Division is ruling while Jesus is calling His people to unity! Until Christians and Christian leaders stop declaring their independence from one another, we will continue to see disunity and division rule the day. This is in complete contrast to God’s Word and God’s will for us in the Church! Now is the time for the Church to choose unity rather than division. Therefore, let’s come back to the authority of the Bible as God’s Word, to the Lord Jesus being the only Savior of the world, and the consuming conviction that the world’s greatest need is the gospel of Jesus Christ. For example, humility leads to gentleness; gentleness leads to patience; patience leads to bearing one another in love, and all four of these together lead us to make every effort to keep the unity of the Spirit through the bond of peace. “Making every effort” is a dynamic and compelling phrase. This phrase calls us to be eager and conscientious in everything we do. This phrase also gives us a sense that we are in a crisis and calls us to take initiative, and to do it now. We are to work endlessly toward unity and oneness, guarding over it when we have it. This is a call to action! While the human will determines the needed action, we must understand there is no true unity apart from the Holy Spirit. Unity is supernatural. Unity only happens with God. Christian unity is a state of oneness, living in harmony and in one accord. Unity is only possible by the gospel because Jesus died for all people. As we make every effort to keep the unity of the Spirit through the bond of peace, it is the peace of Christ that gives us His love. You see, the peace and love of Jesus are the adhesives of God’s people. They surround us and keep us together. Are we making every effort to live in unity and oneness in the Church? Do we create suspicion and division rather than unity and oneness? Are we making every effort to live in unity and oneness with other churches that believe the basics of the faith like we do? Or are we marked with a spiritual arrogance like we have a corner on all God’s truth? Are we making every effort to live in unity and oneness with every member in our immediate family and even with our extended relatives? Or do we check our Christianity at the door and think we can live whatever way we desire when we are at home with our family? Are We Making Every Effort to Live in Unity and Oneness? Are we making every effort to live in unity and oneness with people in the workplace? Or do we create division and suspicion with an attitude of criticism that is certainly not from Jesus Christ? Are we making every effort to live in unity and oneness with our friends? Do we initiate conversations and experiences and truly live life together, or simply respond when invited to do something? Are we making every effort to live in unity and oneness with all generations? Or do we act like our generation is always the best? Do we inspire other generations by wanting to know how we can walk together as one at this time in history? Are we making every effort to live in unity and oneness with all ethnicities? Or do we portray an arrogant spirit by not engaging with other ethnicities? What Will Forward and Ascend Unity? This Sunday in my church, I will issue a bold call to my church, and perhaps it needs to be made to your church also. I believe when we are making every effort multi-generationally and multi-ethnically, we will forward and ascend unity in every way. Do we tie our success as a church to continually becoming more multi-generational and more multi-ethnic in a visible way? Here is where I have come to in my life and in my leadership. The more multi-generational and multi-ethnic we are as a church, the more we are giving our church a future and insuring our church will always be current. I believe the same is true of your church, denomination, or ministry you are part of or may even lead. When we cease to be a multi-generational ministry, we are giving our future away and soon we will become a ministry of the past. When we are not multi-ethnic as a ministry, we are irrelevant to our culture, and this will soon result in us becoming a ministry of the past. Therefore, if we want our ministry to have a future that will always be current in today’s America, we must become more multi-generational and more multi-ethnic. I want to bring this two-part article to a conclusion by sharing five facts about unity. The call from Jesus for us to live in unity is found in the Bible in multiple passages of Scripture. The Holy Spirit is the only One who gives unity among people. Unquestionably, it is supernatural. Each of us must determine to take specific and intentional actions to live in unity and oneness. As always, Jesus was right: Through our unity with others, the world will know by our testimony that Jesus is the Savior of the world. Unity is always best for every relationship, family, church, friendship, workplace, school, team, and government. Christian friend, stop creating suspicion about other Christians or leaders. Lead toward unity! Stop dumbing down spiritually through continual skepticism, constant criticism, and incessant cynicism. Again, lead toward unity! Begin making every effort to live in unity with one another and forward unity in America. If the Church refuses to do this, who will? 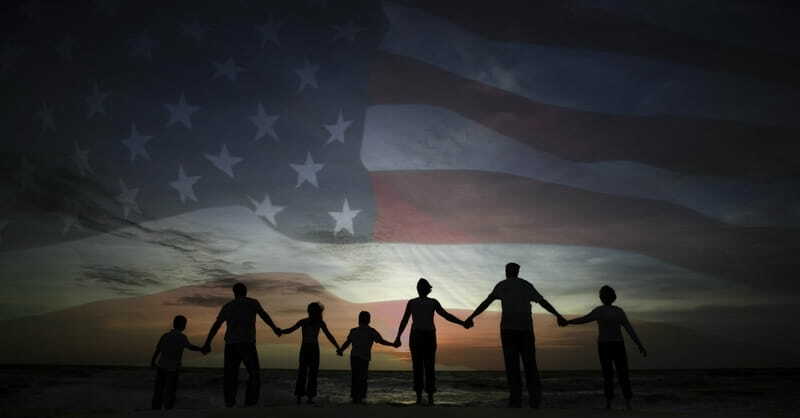 If you do not step into this empty space by demonstrating unifying leadership in America, not only will your life never reach your highest God-given capacity, but neither will our nation. Now is the time to make every effort to live in unity together. This article originally appeared as "Christians Need to Begin Making Every Effort to Live in Unity, Part 1" and Part 2 on RonnieFloyd.com. Used with permission.